Arizona strictly enforces its highway and traffic laws. If you are convicted of a standard DUI then you are facing ten days in jail, a large fine, and a license suspension. “Standard” DUI refers to the most common DUI charges: Driving while being “impaired to the slightest degree” and driving over the “legal limit” of .08. This first charge, found in ARS 28-1381, will appear alongside any DUI charge because the prosecutor does not need to prove any blood alcohol concentration, but only that you were impaired. Many persons arrested for a DUI are surprised to learn that despite these laws they may be able to defend their charges in Court. If you have been arrested on suspicion of driving under the influence then do not enter a plea without consulting with a criminal defense attorney first. Bretton Barber is a Phoenix lawyer who dedicates his practice to defending the rights of the accused. Contact us today to schedule an initial consultation. Standard DUI: 1 to 10 days in jail, about $1,650 in fines (depending on the Court), completion of a required alcohol education and screening program, and the installation of an ignition interlock device on your vehicle for a minimum period of six months. Extreme DUI: 2-30 days in jail (home detention eligibility), about $3,250 in fines, successful completion of a required alcohol education and screening program, community service, and the installation of an ignition interlock device on all vehicles you drive for at least one year. Super Extreme DUI: 3-45 days in jail (home detention eligible), as much as $6,500 in fines, fees, and jail costs, and the use of an ignition interlock device for a minimum of one year.. While Extreme and Super Extreme DUI’s are still considered misdemeanors, they do include longer jail sentences, higher fines, and a longer period of time that is required before you can remove your ignition interlock device. Depending on where one is arrested, they will face charges in Municipal Court or Justice Court. Having an attorney to assist with the process can make a difference in the outcome of the case. Bretton is a Phoenix area lawyer handling all levels of DUI. Once retained he will acquire the arrest reports along with all materials related to DUI testing. Avenues he may use to fight the charges will include whether police properly followed the detailed procedures for obtaining your consent for either a breath sample or blood draw, as well as whether the evidence was properly collected. Additionally he will determine if the police calibrated their breathalyzer equipment as well as attacking how the chain of evidence was handled in regards to blood samples. He will also examine whether search and seizure issues, pursuant to the Fourth Amendment, made the stop of your vehicle illegal. This is often the most important type of work because it can result in the charges being dismissed. That is why Bretton interviews any officers involved in your stop, reviews the reports, and if necessary demands depositions of relevant witnesses. Bretton will work to gain you the best possible outcome, whether it means fighting the charges through motion work, going to trial, or negotiating a resolution. We take pride in the level of service we provide and we look forward to assisting you. In addition to Phoenix we represent defendants in other Maricopa County cities such as Mesa, Glendale, Scottsdale, Chandler, and Gilbert. We also assist Pima County residents in Tucson. 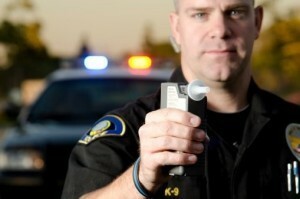 Being charged with a second DUI comes with harsher penalties than the first. While a second DUI is still considered a misdemeanor, it will include more jail time, harsher fines, a longer license suspension, and a longer mandatory use of an ignition interlock device once your license is restored. If you have already been convicted of DUI and it is possible to defend yourself from a second conviction then it is important that you do so. The penalties that come with a second DUI conviction will be financially costly, and can create a great hardship for you and your family. Contact the Barber Law Group today for more information.